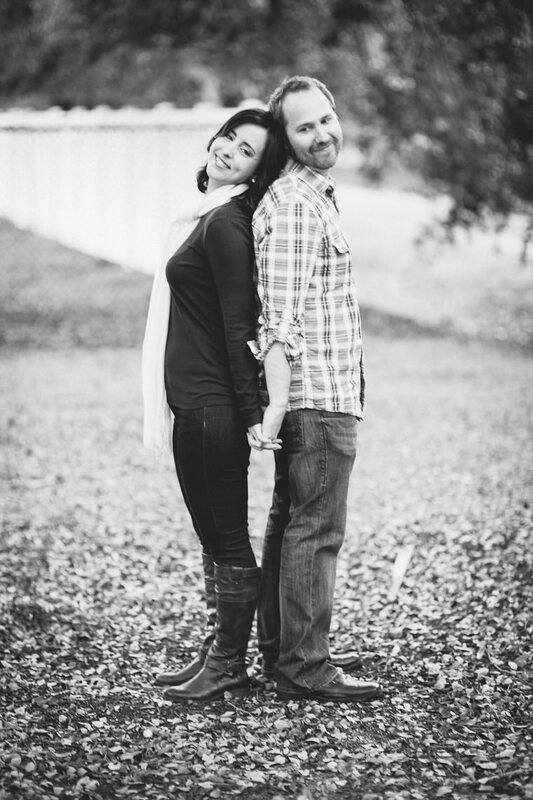 I ♥ this couple. 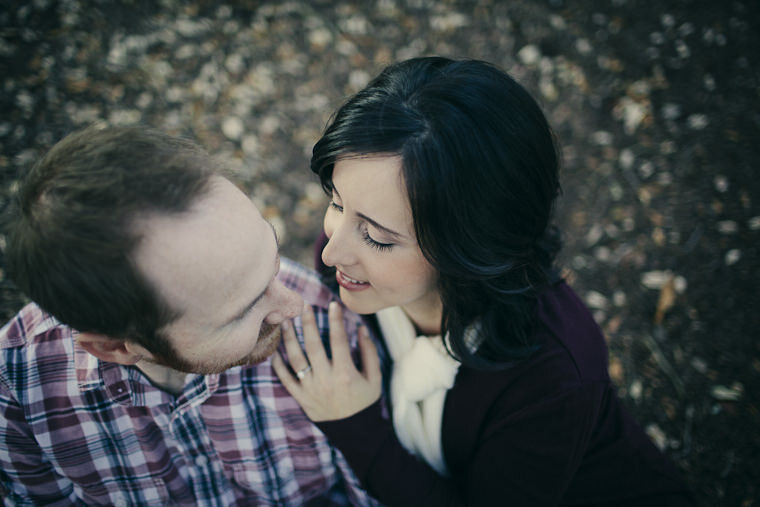 I had such an amazing afternoon with them, photographing their e-sesh. 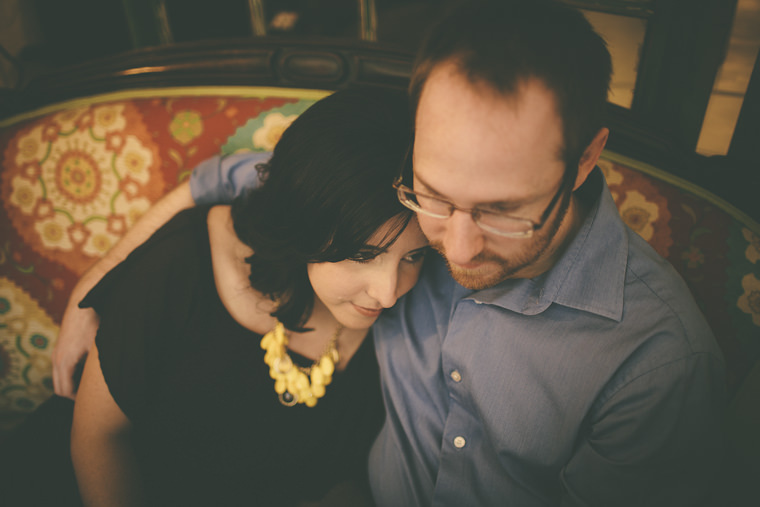 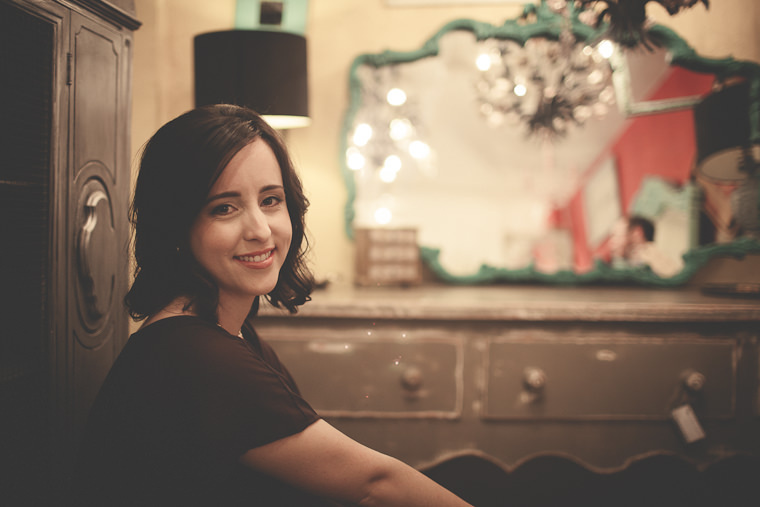 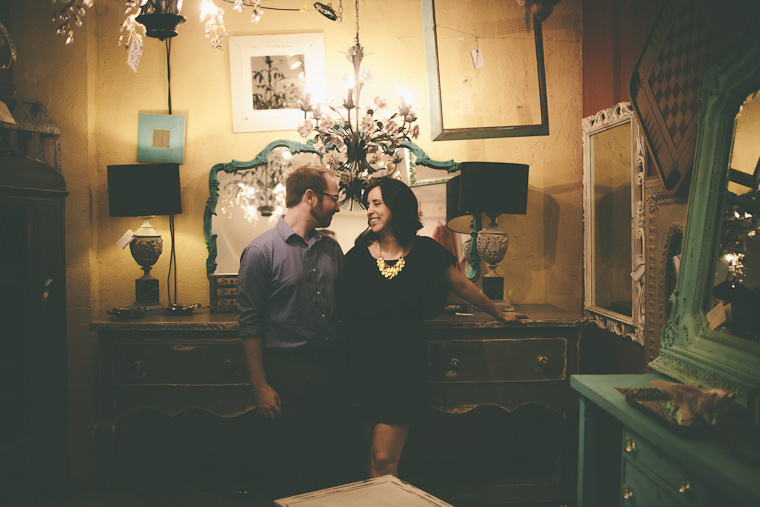 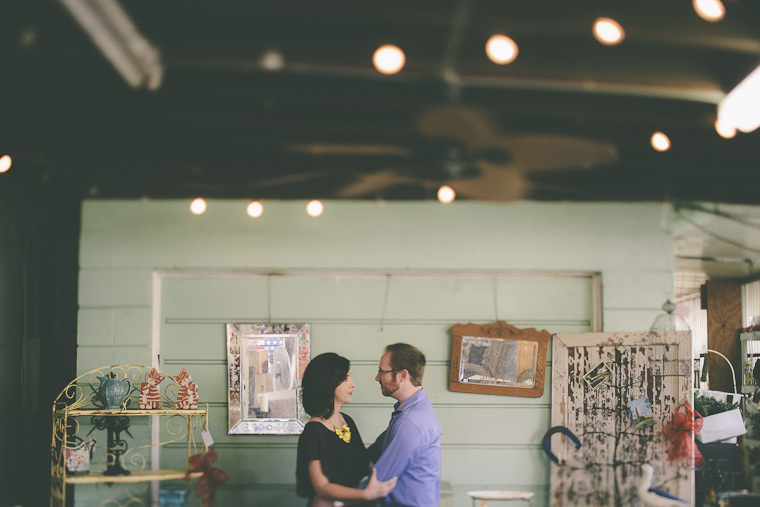 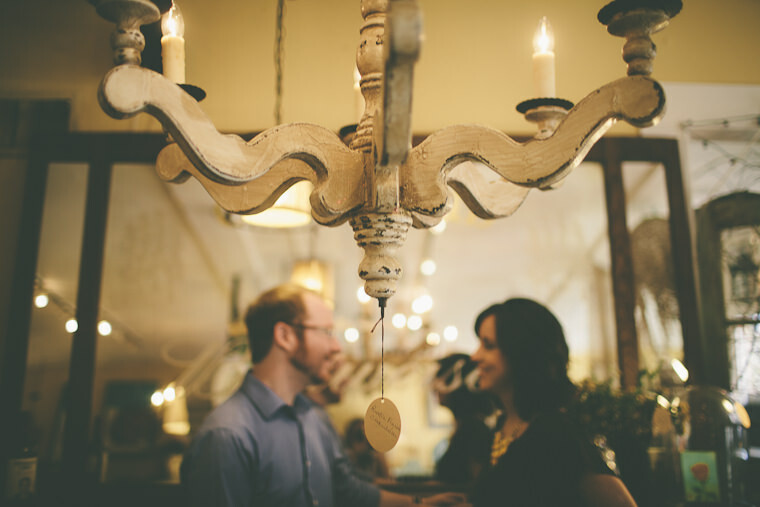 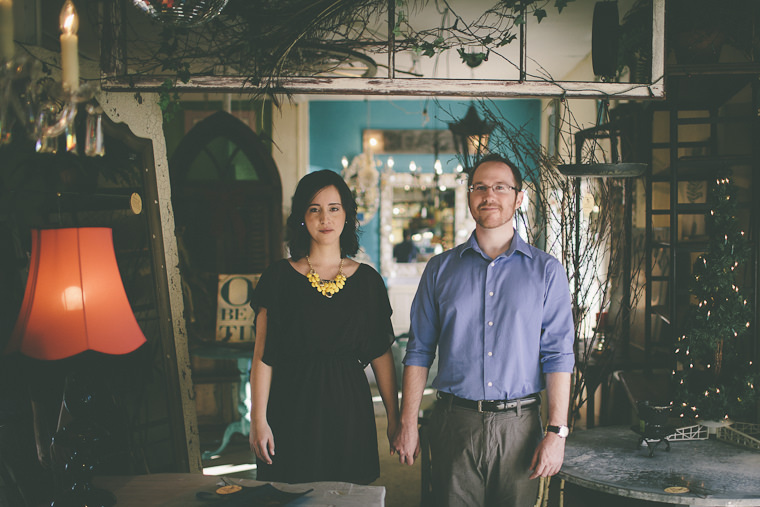 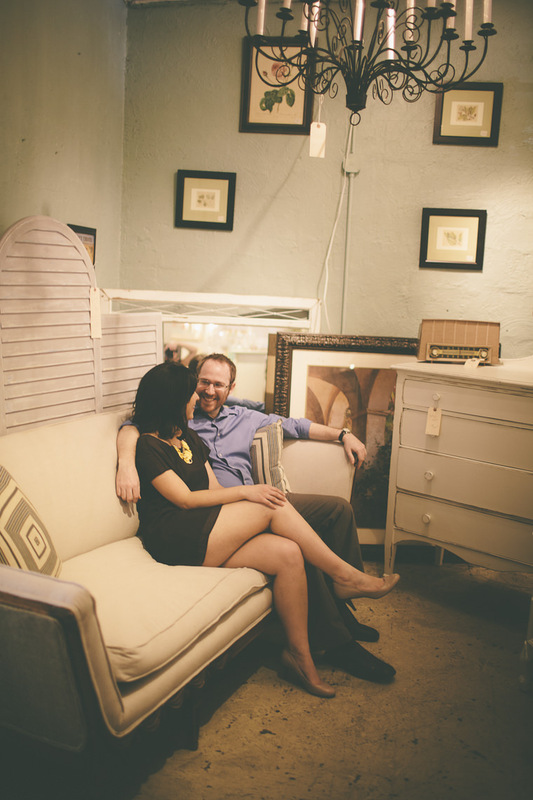 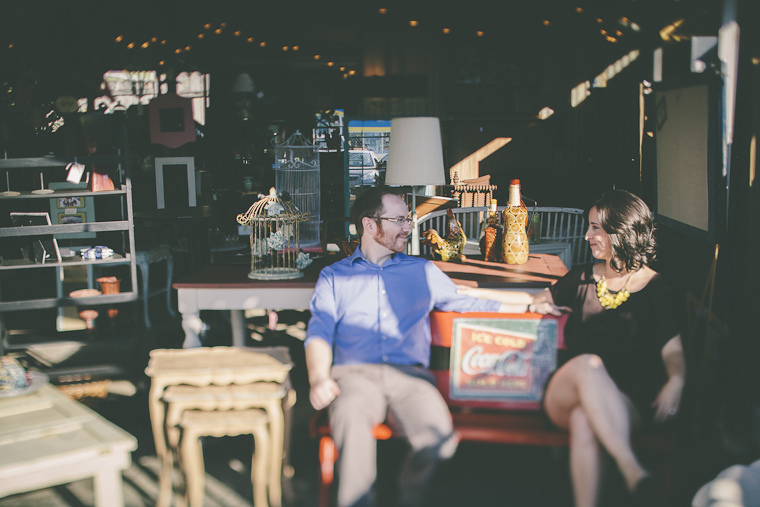 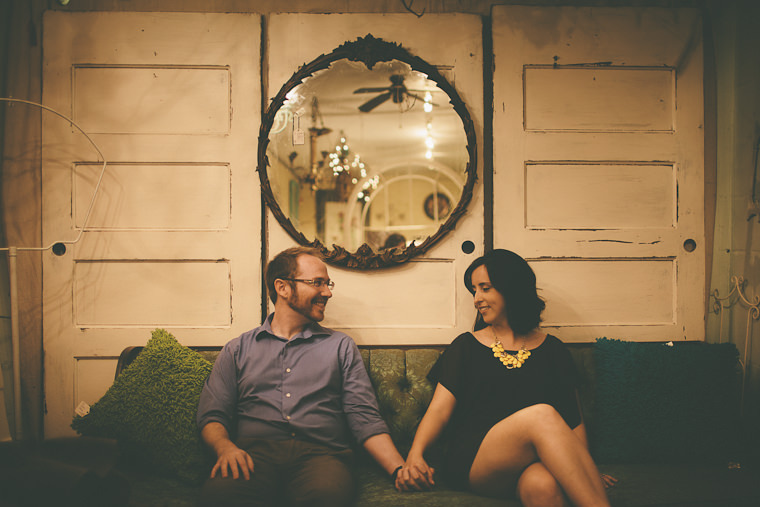 I pitched the idea of doing their engagement session in an antique/thrift shop a few weeks before. 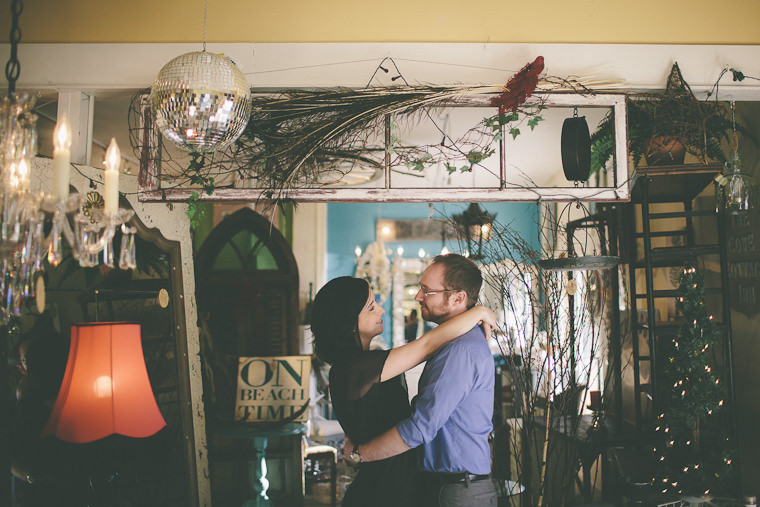 To my delight, Dyana and Chris loved the idea, and scouted out the cutest little shop in all the land. 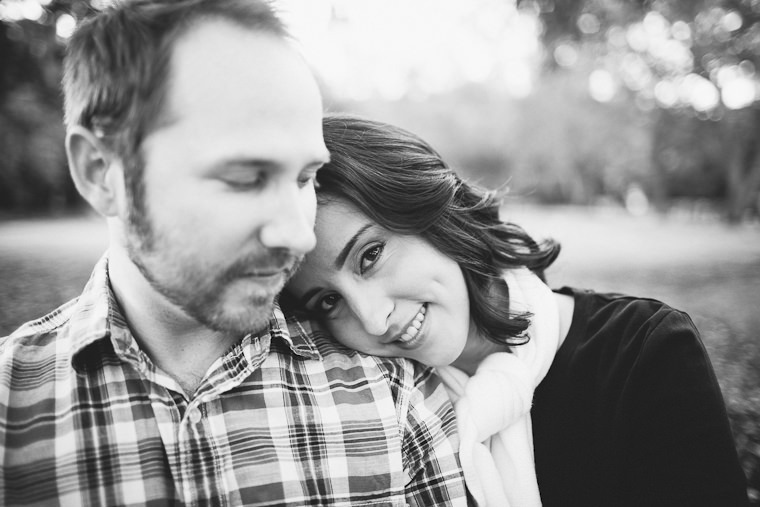 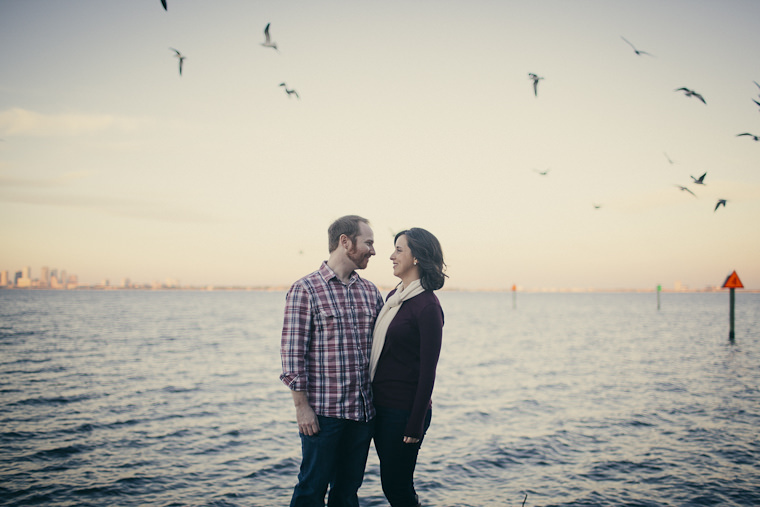 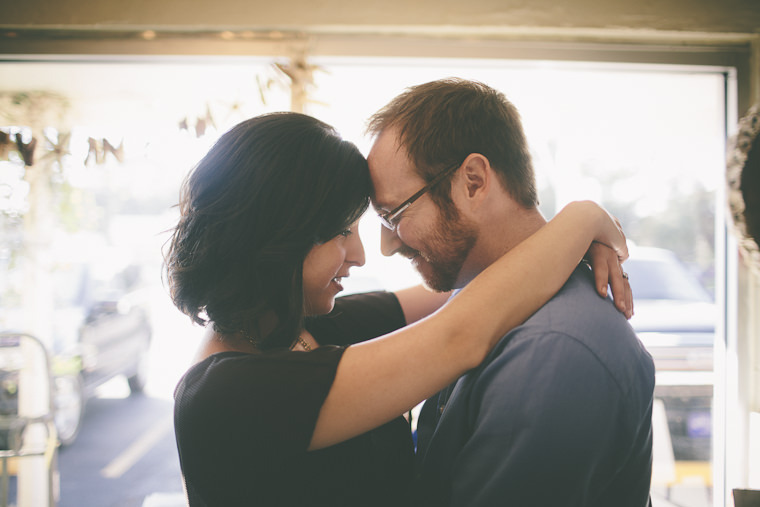 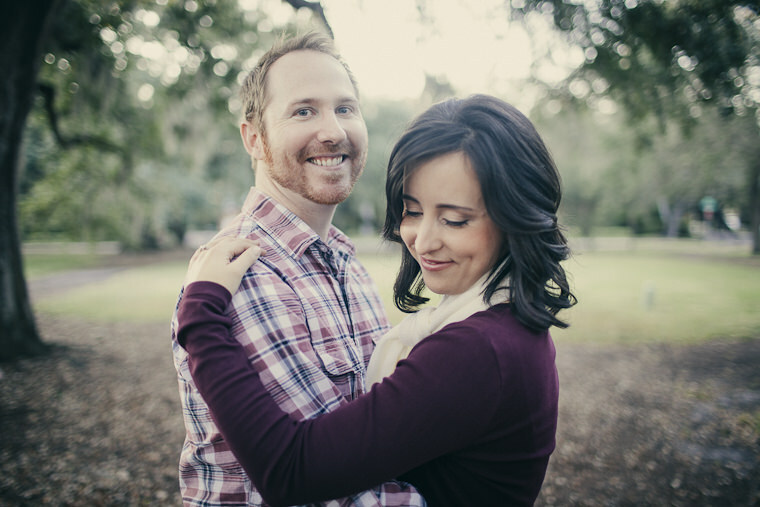 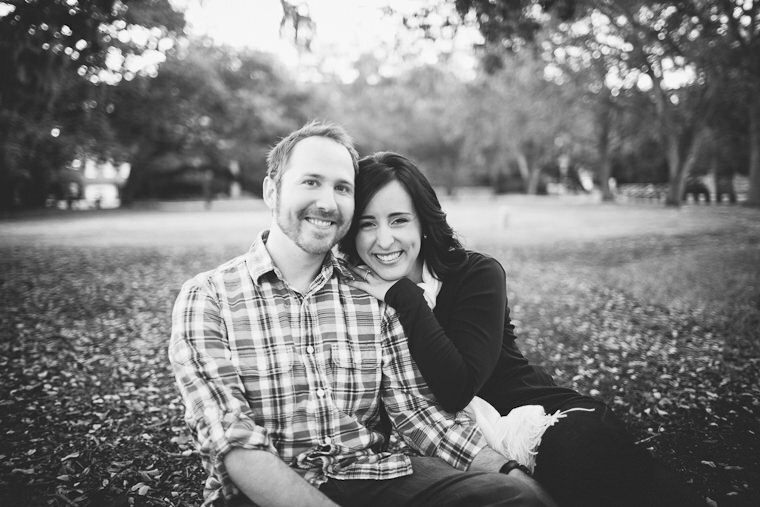 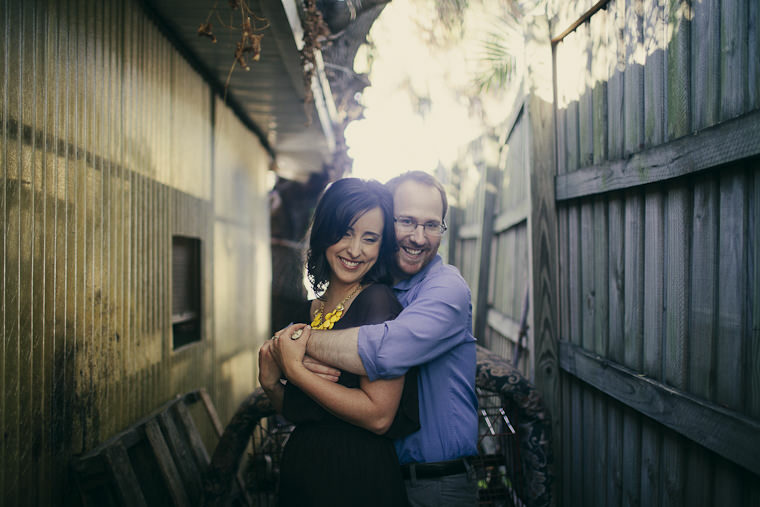 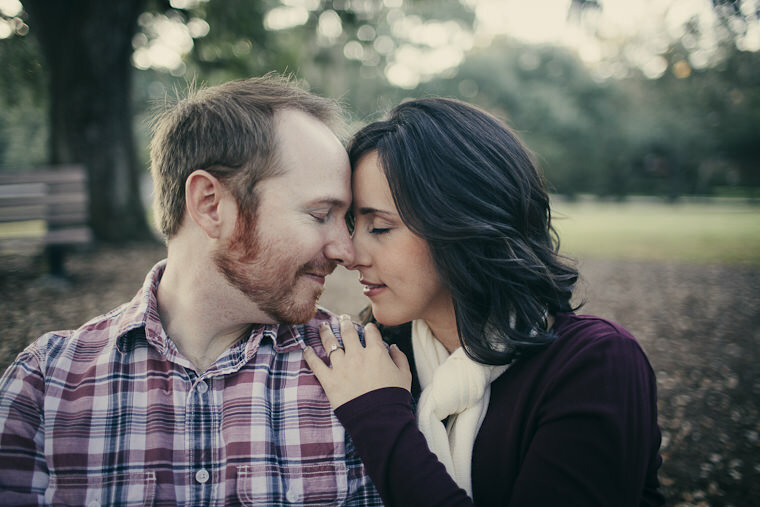 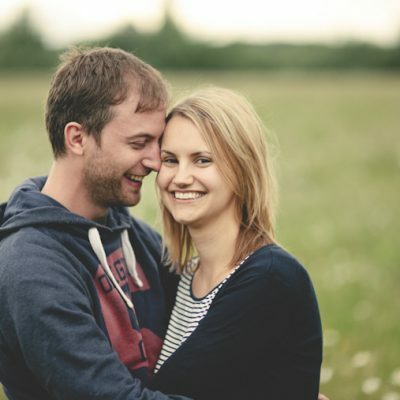 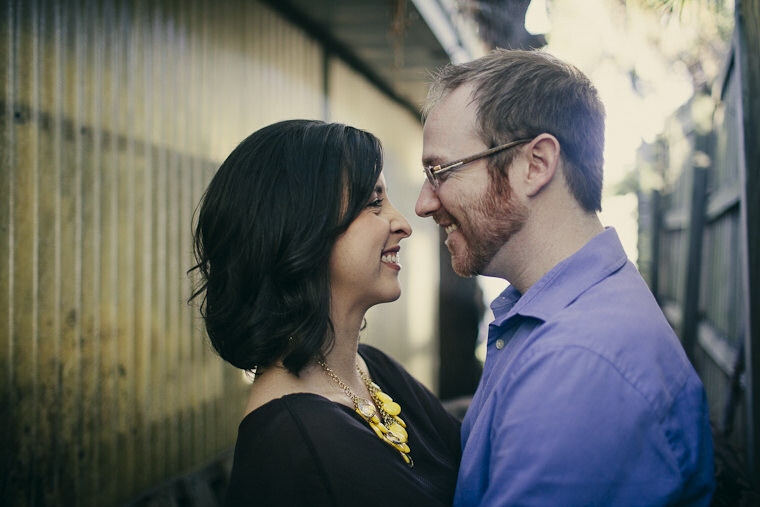 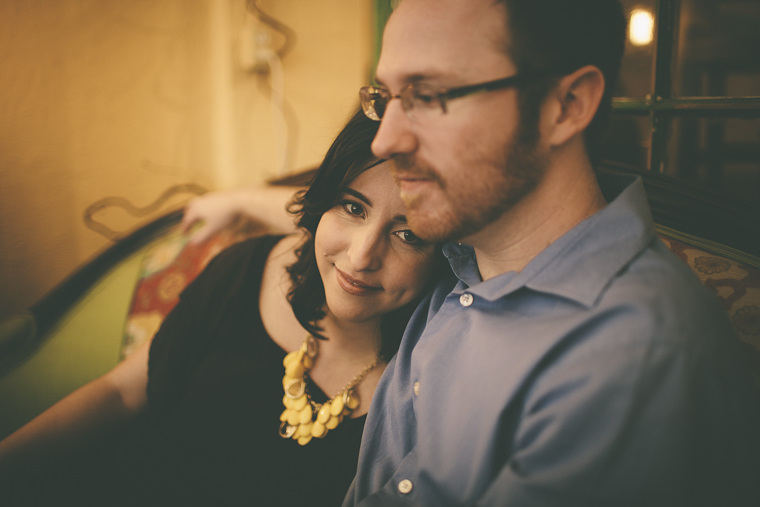 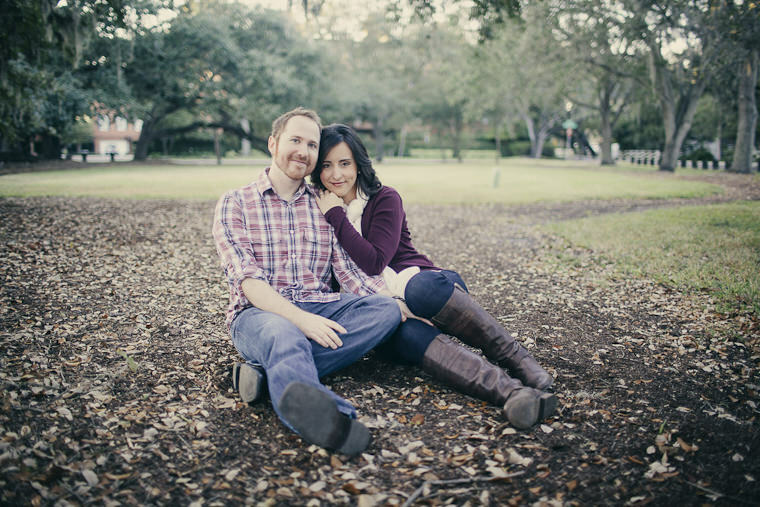 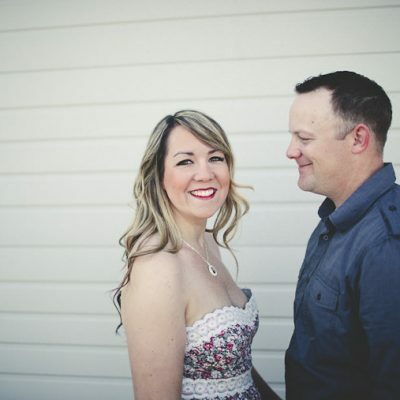 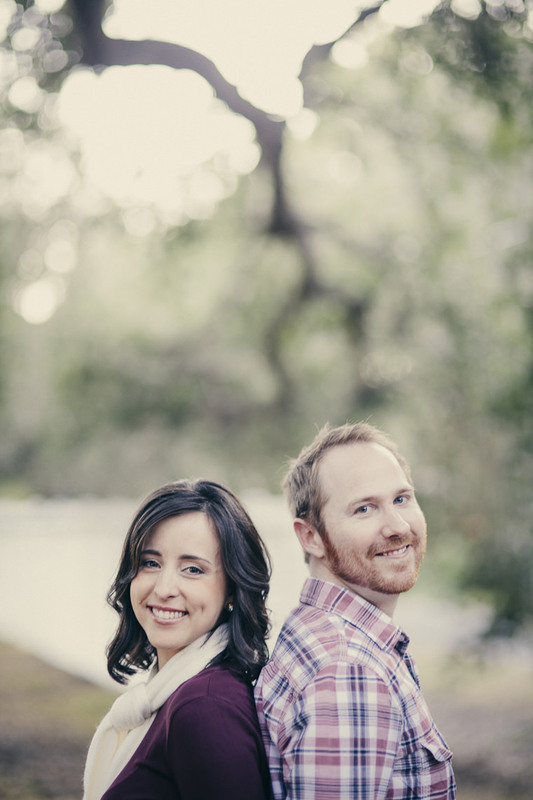 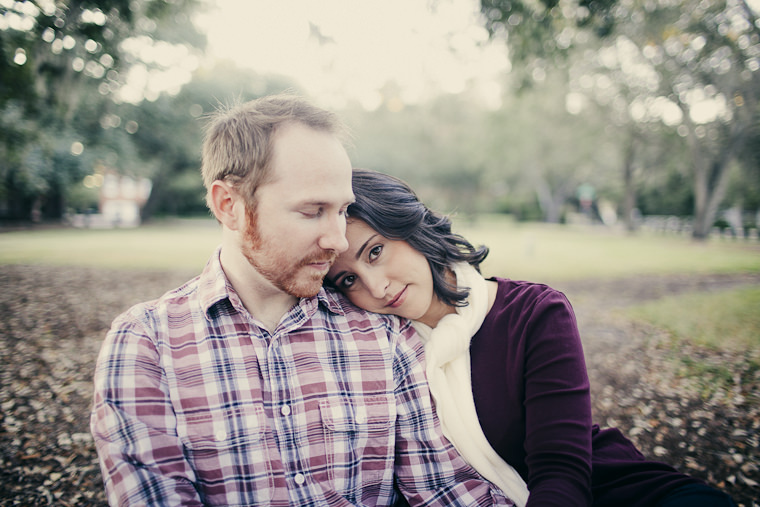 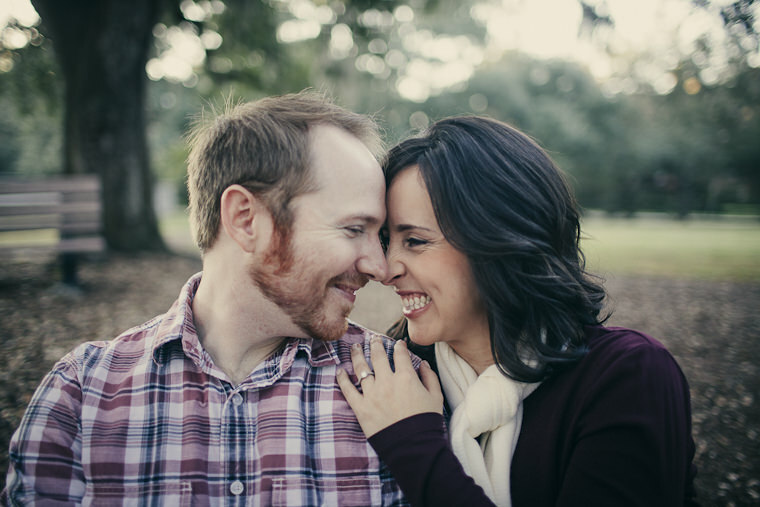 These two sweeties are so in love, and spending an afternoon getting to know them, and hear their stories, is why I love engagement sessions. 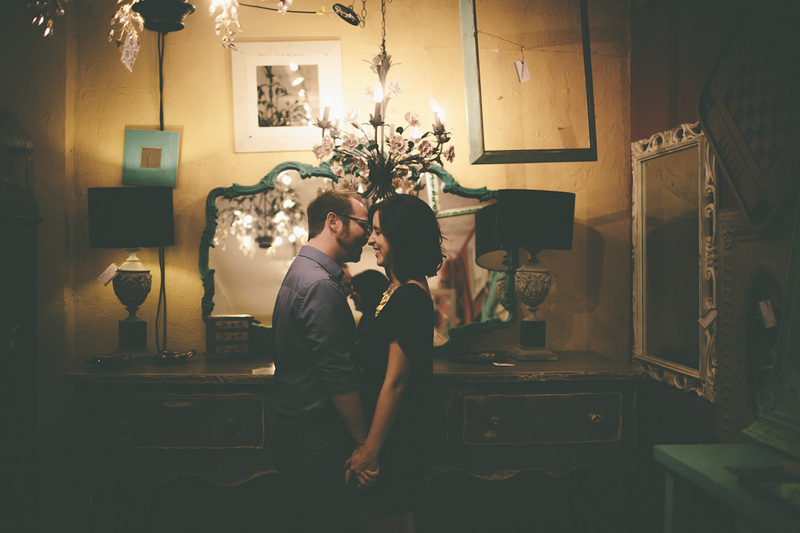 Whenever I meet couples, it’s always kinda/sorta like an interview (from both sides). 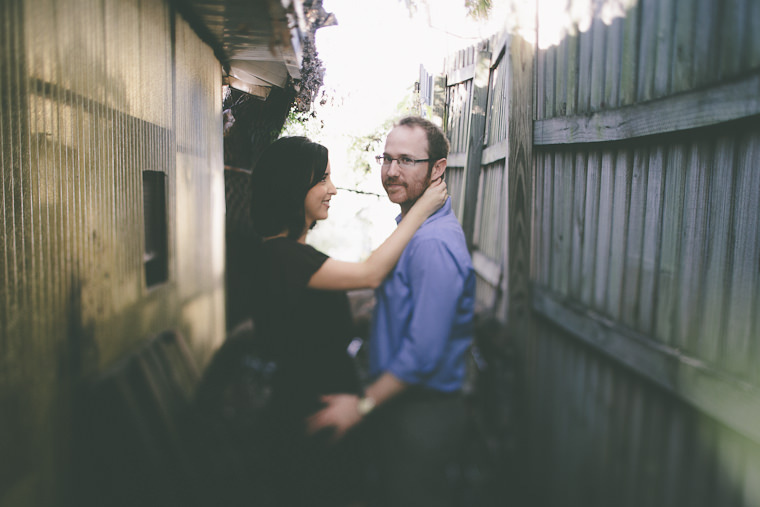 They have tons of questions for me, and I try to find out as much as I can about them in the space of…about an hour. 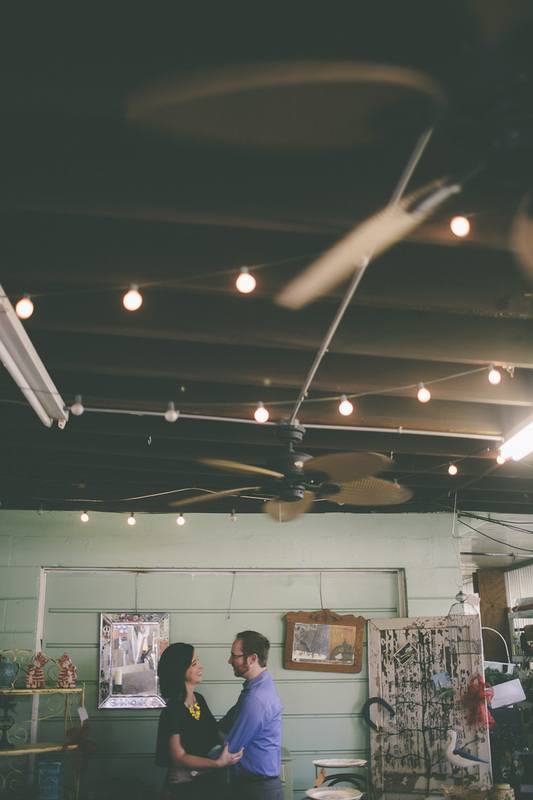 So the conversation during the first meeting is very much a Q&A. However, when we get together to do their first photos, conversation can range from, what restaurant they went to for breakfast, to a funny story about my auntie, or the story of how they first fell in love. 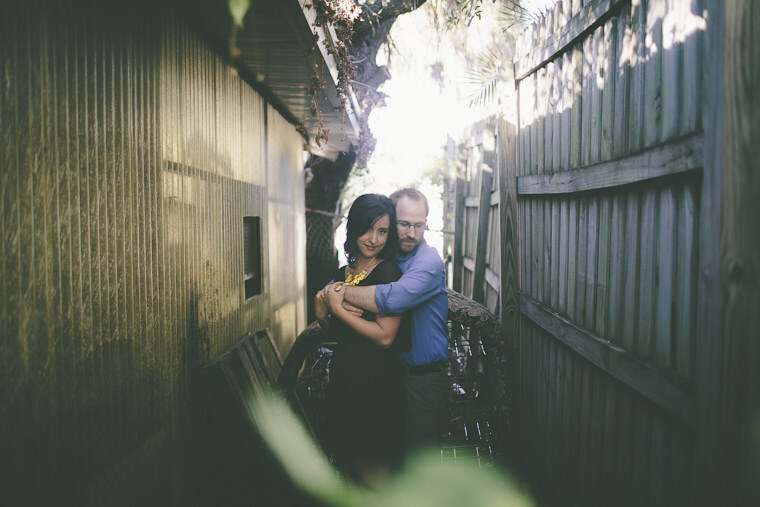 To me, a photoshoot shouldn’t be a boring thing you have to do (most guys think of them this way). 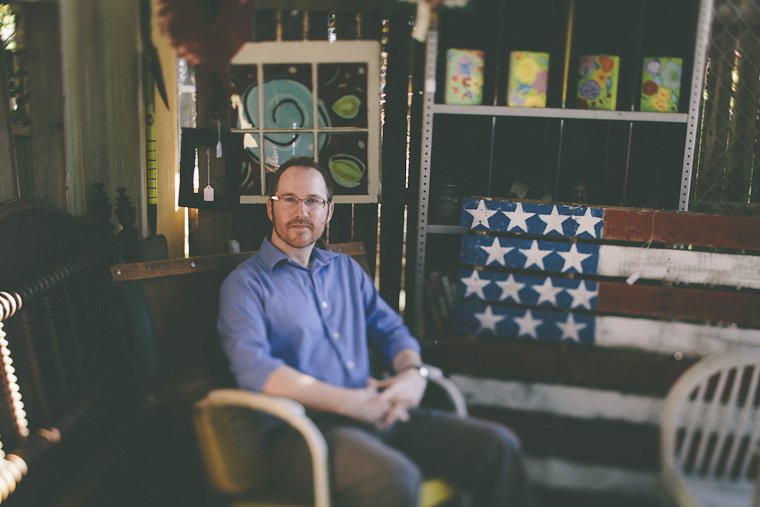 To me it should be about an experience, and interactive for everyone. 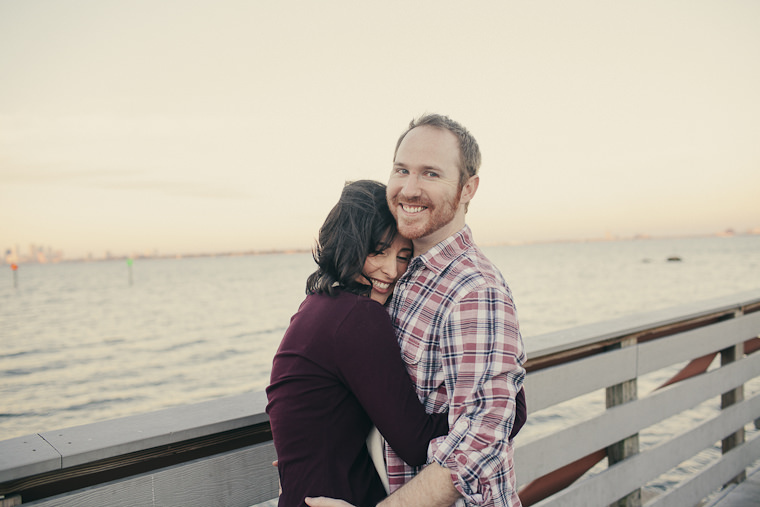 My job is to capture the essence of a couple, in the most natural way and when this happens I get giddy (and sometimes squeal behind my camera, as Dyana and Chris can attest to. 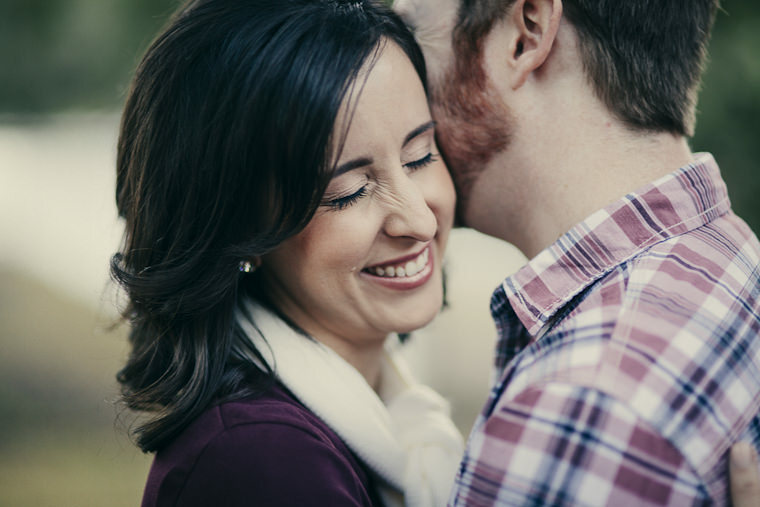 Note: Squealing is ALWAYS a good thing). 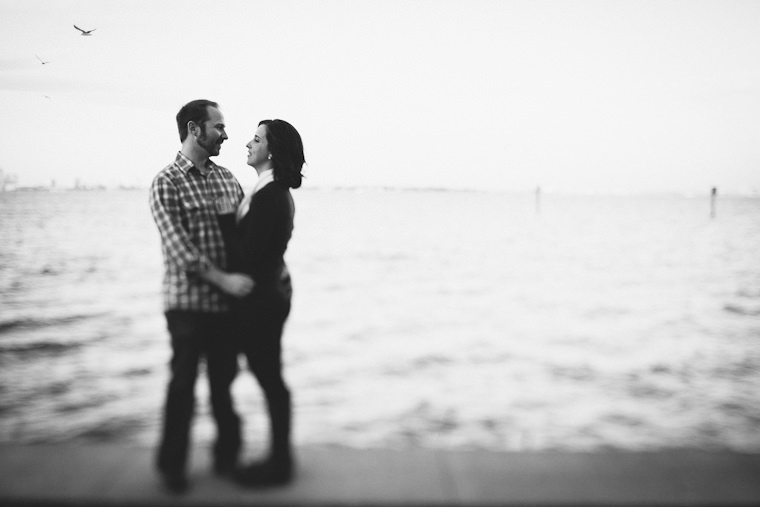 When the sun sets, and I part with my couples, I walk away on a huge high, knowing that in my camera, on my memory card or on a roll of film, is an elated time in someone’s life that will be treasured. 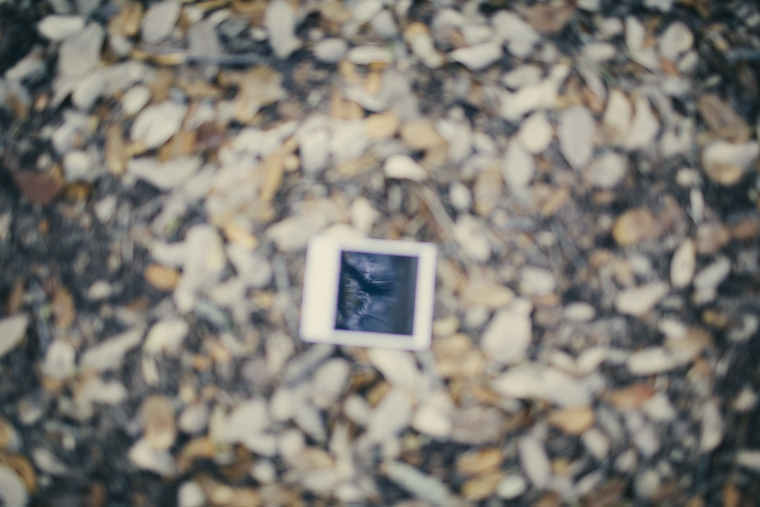 It’s what I think of when I think of magic. 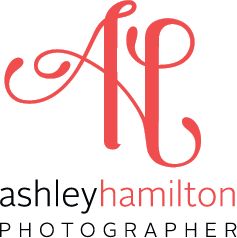 The gals here at Summer House think these are the most fabulous shots ever!! 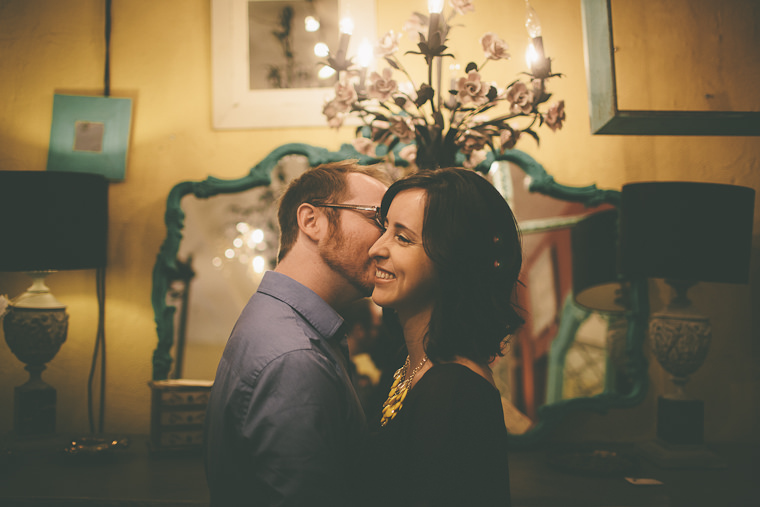 Great photography, and their love for each other is captured in each picture.